Mark is a Certified Professional Horticulturalist with a decade of experience in a variety of landscape settings. Mark is skilled in the cultivation, installation and maintenance of plantings in public realm settings. He is also experienced with the incorporation of xeric water management and irrigation practices, Integrated Pest Management (IPM) and other sustainable maintenance strategies to ensure long-term planting success. Mark has worked as a nursery production specialist at Longwood Gardens, MDK Plants in the Netherlands and Gygax Gartenbau in Switzerland. He was a staff horticulturalist at Kurt Bluemel Nurseries in Maryland. 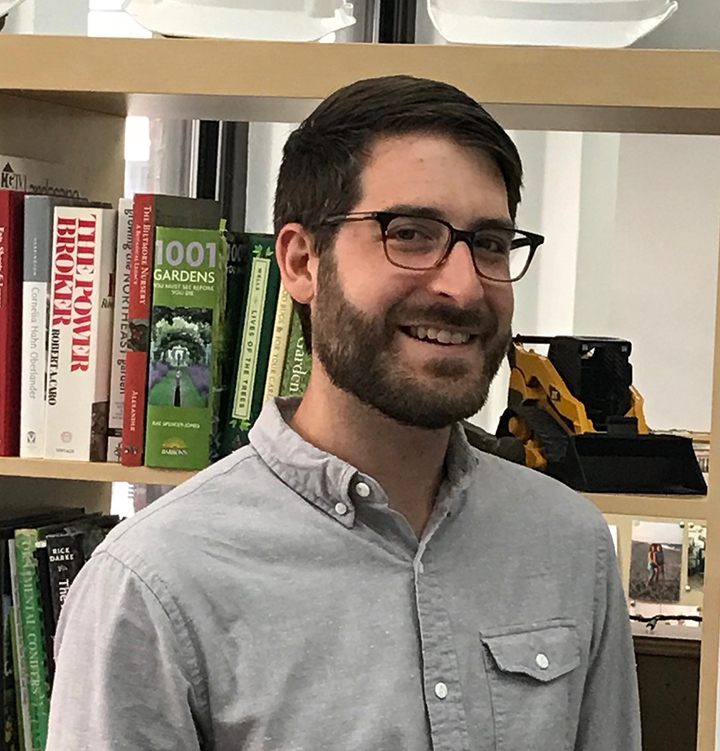 He has worked as a design-build technician for numerous public and private garden projects in New York and New Jersey. He was also a staff gardener at The High Line in Manhattan, NY. Mark is a Licensed Private Pesticide Applicator and Certified Paraprofessional for Watershed Restoration. Mark earned a Bachelor of Science in Horticulture from Virginia Tech and a Master of Landscape Architecture from Rutgers.